DARTFORD, Kent — A nursing regulatory body in the United Kingdom that sets standards for conduct and investigates complaints regarding an entity’s fitness to practice nursing has lifted restrictions against a nurse who had been fired from her job at a local hospital for telling patients about her faith. Sarah Kuteh, a Roman Catholic who has worked as a nurse for over 15 years, was accused in 2016 of having “unwanted discussions” with patients at Darent Valley Hospital in Dartford, as well as violating conduct guidelines regarding speaking about religion with patients. Part of Kuteh’s job included collecting and reviewing assessment questionnaires that included an inquiry about the person’s religion. If the person left the question blank, sometimes she would ask why, and would proceed to talk about her own faith. Kuteh, who assessed an estimated 50 patients a week, received a warning in April 2016 and consequently sought to be more careful about the matter. “I explained to [my supervisor] that this only comes about when I have to go through the questionnaire with the patient, because on the questionnaire there’s an area where the patient has to state their religion and that could prompt a conversation,” she said. And after receiving a letter providing instruction about the issue, “I’d always say to the patient or ask the patient if they were comfortable, and most of them were,” Kuteh explained. However, as three patients complained in the months that followed, Kuteh was investigated, suspended and then fired. According to the Telegraph, one patient said they were provided a Bible but did not want it, and another said that Kuteh was “preaching” at them. An employment tribunal upheld her termination in April 2017. Kuteh went on to find a new job at a nursing home, but was subject to a number of restrictions and conditions, and had to work under supervision. 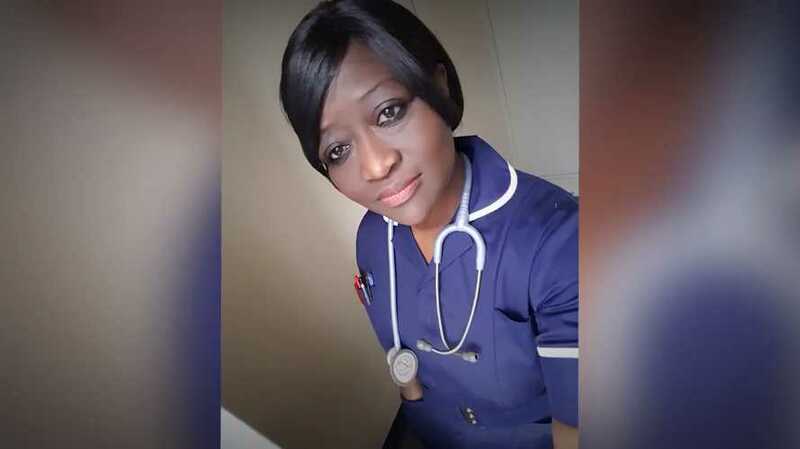 Darent Valley Hospital had reported Kuteh to the Nursing and Midwifery Council (NMC) upon her dismissal, as it questioned her “fitness” to remain in the nursing profession. The BBC additionally reports that Kuteh acknowledged she shouldn’t have given her personal Bible to a patient when working for Darent Valley Hospital, but should have rather used a Bible from the chaplaincy. “Those who know Sarah recognise what a caring, hard-working nurse she is, and the professionalism she brings to her job. Although it’s disappointing that she was ever penalised for her actions—which were wholly motivated by compassion—we rejoice that Sarah is once again free to bring her skill and expertise to her role as a nurse,” said Chief Executive Andrea Williams.